President and Chief Executive Officer, BJC HealthCare, St. Louis, Mo. 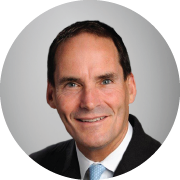 Rich Liekweg is president and CEO of BJC HealthCare. BJC HealthCare is one of the nation’s largest nonprofit health care organizations with $5 billion in net revenues and more than 31,000 employees in the greater St. Louis, southern Illinois and mid-Missouri regions. Its teaching hospitals, Barnes-Jewish Hospital and St. Louis Children’s Hospital, are affiliated with internationally renowned Washington University School of Medicine in St. Louis. He is responsible for advancing operational and clinical excellence across all of BJC’s hospitals, service organizations and shared services departments. Liekweg joined BJC HealthCare in 2009 as president of Barnes-Jewish Hospital at the Washington University Medical Center and group president for BJC HealthCare. In addition to leading Barnes-Jewish Hospital, he was also responsible for ensuring the success of four other BJC hospitals and chairing the steering committee for the 10-year Washington University Medical Center campus renewal project. Before joining BJC, Liekweg served as chief executive officer and associate vice chancellor for the University of California, San Diego (UCSD) Medical Center. In this position, he was responsible for overall management of the university’s academic medical center. Liekweg also spent more than 16 years in positions of increasing responsibility at Duke University Health System, including serving as CEO of Durham Regional Hospital. Liekweg is recognized as a leader and administrator who establishes strong relationships with clinicians, faculty and staff and understands the special missions of academic medical centers, community and rural hospitals, and the important role of shared service organizations. He serves on a number of professional and community boards including the University Healthsystem Consortium, Association of American Medical Colleges Council of Teaching Hospitals and the St. Louis College of Pharmacy Board of Directors. Liekweg earned a bachelor’s degree in economics from the University of Virginia and master’s degrees in health services administration and business administration, both from the University of Michigan.